Measure garment consumption in tonnes; the cost to make them in pence and human life. As garment prices reach new lows, the rate of consumption is on the increase. 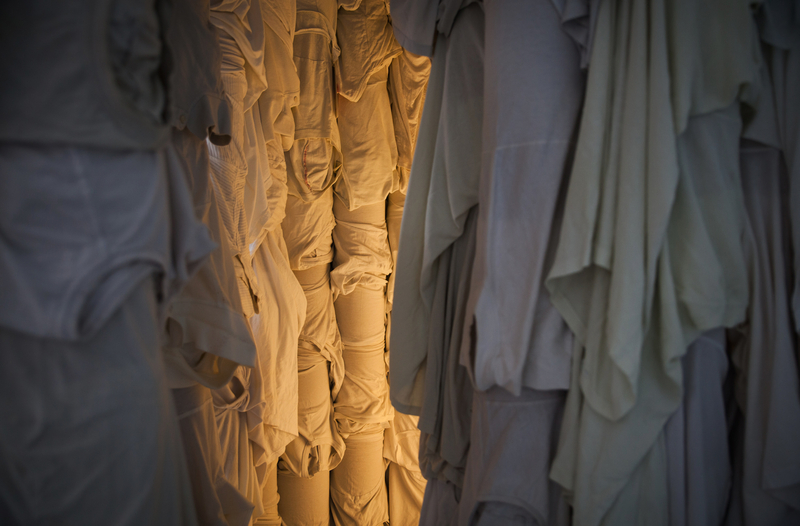 The installation aims to address the disconnect between our garment consumption and the resources sacrificed to enable it. Awakening from the “charity shop fairytale” to acknowledge the £140million worth of clothing per year in the UK which ends up in landfill.